Funding for the collaborating US partners and publications was through United Soybean Board (USB), North Central Soybean Research Program (NCSRP) and the USDA-NIFA Coordinated Agricultural Program (CAP). Determine effect of environmental conditions on the aggressiveness of seedling pathogens. Identification of fungal and oomycete species associated with soybean and potentially corn. Identification of field conditions (e.g. moisture, temperature and chemical properties) that favor seedling diseases. Development of diagnostic tools that will aid in diagnosing problem fields and aid other research endeavors by public and private researchers. Development of management strategies and to assess current production practices as they relate to seedling diseases. Development of regional and Ontario extension publications as a traditional fact sheet, and digitally as an audio and video. The understanding of the distribution of the various pathogen species (Fusarium, Phytophthora, Pythium, Rhizoctonia, etc.) can be used by growers to implement an Integrated Pest Management (IPM) strategy to choose appropriate disease management solutions, such as fungicide seed treatments that are tailored by region/field to have maximum efficacy and disease reduce losses. The information gathered will also assist soybean breeding efforts for more efficient soybean variety development, by allowing breeders to screen varieties with the pathogen species found in an area/region; this will lead to more consistent disease ratings for growers since results indicate differences in pathogen populations between regions based on soil temperature and latitude. The collaboration efforts between US and Ontario researchers will increase efficiencies and communication, such as the production of new extension publications based on results from this project which will be distributed in Ontario and the US (e.g. Crop Protection Network). Soybean is a high value food and feed crop in the Ontario and the US that is heavily impacted by root and stem rot diseases caused by Fusarium, Rhizoctonia, Phytophthora sojae and by several Pythium species. Soybean is an economic mainstay in Ontario and losses to these diseases have increased as a result of lack of resistance genes for Rhizoctonia, Pythium and Fusarium as well as resistance genes are losing their effectiveness against Phytophthora. Moreover increasing adoption of early planting and no-till farming has also increased soybean losses due to soil-borne diseases. Increasing competition for the soybean crop from industrial and bioenergy uses has put further pressure on soybean production for food and animal feed. 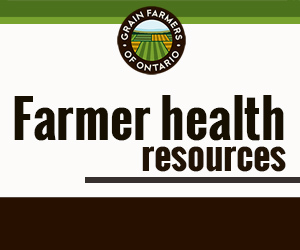 Producers will see benefits in the form of management recommendations and coordinated educational efforts as a result of Ontario participation in this regional project. This project will continue and build on work started in the joint US/Ontario project titled, “Soybean seedling disease management” (May 2012 to February 2015) whose purpose as to determine the impact of environmental conditions on the epidemiology of important seedling pathogens such as Pythium, Phytophthora, Rhizoctonia, Fusarium, and others and management options to minimize their economic impact to producers and the soybean industry. Unlike the previous project, two separate proposals were submitted to the United Soybean Board and the North Central Soybean Research Program. The NCSRP and USB team will collaborate and work together in a similar manner to the previous 3-year joint, USB-NCSRP project which GFO supported Ontario’s participation. Results from this project will be combined with the Oomycete-Soybean Coordinated Agricultural Project (CAP) project which included 28 co-project researchers from 17 institutions in the US with the Virginia Bioinformatics Institute at Virginia Tech as the lead institution (Brett Tyler is the lead PI). The CAP project is funded at over $9,000,000 by the Agriculture and Food Research Initiative (AFRI) of the National Institute of Food and Agriculture (NIFA, formerly CSREES), an agency within the U.S. Department of Agriculture (USDA). Project Extension publications continued from “Soybean seedling disease management” (May 2012 to February 2015) as well as new initiatives including seed treatment efficacy table which will be updated annually. Other print and web-based publications will include, but are not limited to, impact of cover crops on seedling diseases, fungicide resistance, and the impact of environment of stand establishment.